At a time when the desire to look beautiful and confident, while taking care of her family, was gaining momentum among women, ITC recognised an opportunity. The opportunity to provide women, just what they wanted. And so began the story of Vivel in 2008. 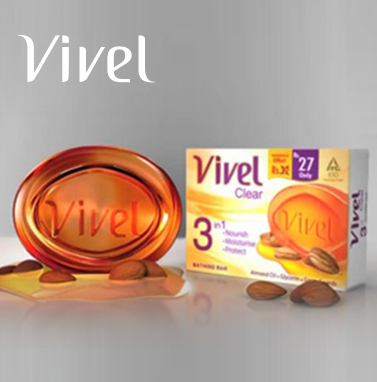 Through the years, Vivel has continued to reinvent itself, to stay relevant to changing needs of the self-assured and endearing Indian women. Vivel is committed to creating products that deliver nourishment for your skin.The essence of the brand has culminated in its current role in the lives of women today, where they have an equal right to dream, live with respect and be achievers. 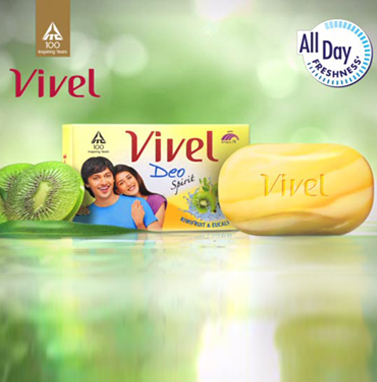 Vivel inspires them to 'Never Compromise'. 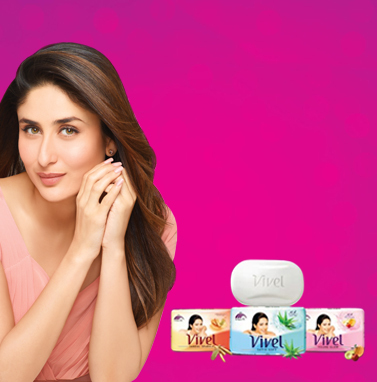 ITC launches Vivel and ropes in Kareena Kapoor as the face of the brand. Her easy charm, unaffected grace, natural beauty and incredible confidence as a successful woman were all the lovable traits that Vivel's personality stood for. The product range included Satin Soft, Young Glow, Ayurveda Essence among others. 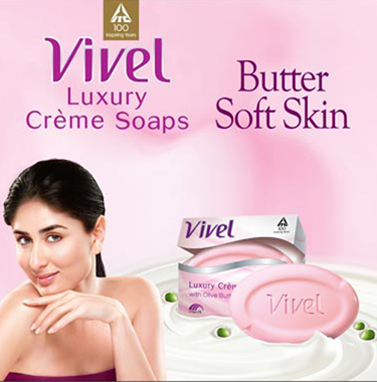 Vivel comes up with Vivel Luxury Crème bathing bars. A luxurious offering from the brand, these products with exotic ingredients like Shea Butter, Olive Butter and Sandal Crème were designed to make our consumers feel pampered and enhance the bathing experience. The unique flip-top carton packaging added to the indulgence story. A collaboration with Kolkata Knight Riders and celebrity Dev during Durga Puja. 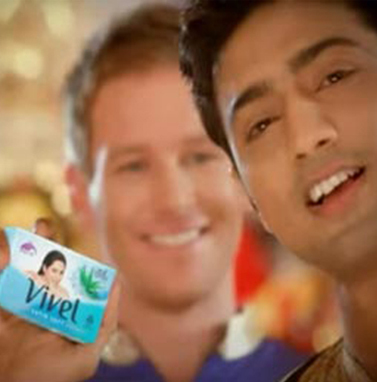 A region specific communication, this TVC rode on the success of the IPL team during Durga Puja. Along with Dev, who has been associated with the brand since 2010, the film proved to be a very apt communication for the brand at the time. 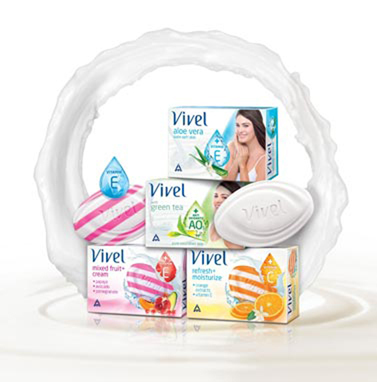 Vivel introduces its all-new 'Skin Nourishing' range of soaps. Vivel shed its old garb and donned a new and distinctive look. Keeping our consumers at heart, unique, luscious, 'skin-food' ingredients known to have a plethora of skin nourishing benefits were added. Vitamin E*, known to act deeply and provide nourishment from within^ was made the core of this new range.